Securely send, sign and track important electronic documents with DocuSign. Try all the features of your chosen plan free for the first 30 days. Data charges may apply. Our free concierge service lets you register for a free webinar where a DocuSign expert will help you get the most out of DocuSign. Electronic signing means no more printing, photocopying, mailing out or booking couriers just to obtain a signature. DocuSign is compatible with iOS, Android and Windows, tablet and mobile devices, and works on all major desktop browsers. Access, edit and share files when you have connectivity from any compatible device. Conveniently send automatic signing reminders at intervals set by you to eliminate the phone admin involved in chasing people up. Sole traders or individuals that only send out a few documents for signing each month and prefer to keep things casual by paying their subscription monthly. Sole traders or individuals that only send out a few documents for signing each month but are happy to prepay their annual subscription upfront to receive the 28% inbuilt licence discount. Looking for new ways to streamline a process or be more productive? At Telstra, we’re using business apps, like DocuSign to improve the way we work. And we’re helping our customers drive efficiencies, and save time. Electronic signatures (sometimes called eSignatures) provide a quick, inexpensive and easy way to sign and receive digital documents. 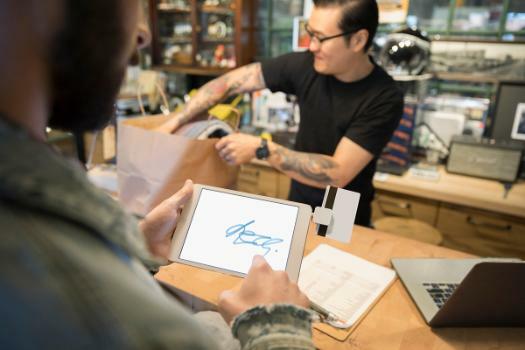 Businesses have taken advantage of the many conveniences that electronic signatures offer for almost 20 years. Signing on the dotted line doesn’t need to slow down your workflow with a suite of new apps. Whether you are looking to put on new staff, or add a new supplier to your lists, contracts can take time and attention. Building a relationship takes time, and getting off on the wrong foot can sour the experience for both parties. Existing Apps Marketplace customers can log into their account here. You’ll need a Telstra Apps Marketplace account to buy or trial apps. Find the answers to your app questions – including FAQ’s and how-to guides - via our support centre. Speak with a local business expert by searching for your local Telstra Business Centre.